America has a problem with its cow poop. 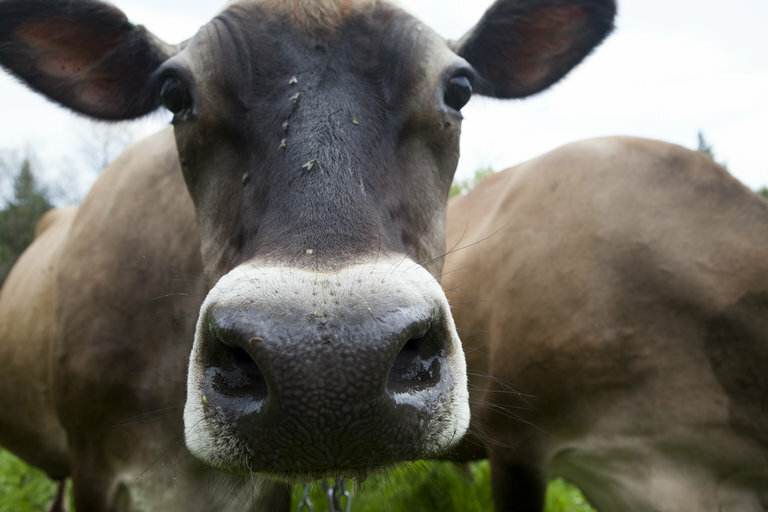 With 94 million head of cattle, farmers face a staggering 2 billion tons of manure a year. Methane and ammonia gases pollute the air, and phosphorous and nitrogen runoff contaminates rivers, lakes, and oceans. 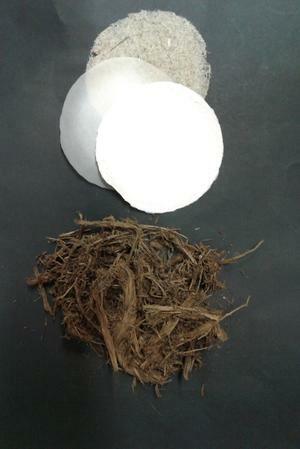 A team of scientists from the University of Vienna, however, thinks that poop can be turned into paper. Their process, which involves extracting grass and hay fibers, called cellulose, from manure is simple, inexpensive, and uses less energy and fewer chemicals than the top-down method of grinding wood into pulp. The dung-derived fibers could be fashioned into revenue-generating products such as wastewater treatment filters, writing paper, or as fillers to reinforce polymer composites. Not only that, the team is also in the early stages of developing a two-step process that would capture methane from the manure to generate electricity and then use the remains to produce paper. After collecting a fresh sample of manure, the researchers heated it in an oven for two hours at 120 degrees Celsius (248 degrees Fahrenheit) to kill any pathogens. Next, they mixed the sterilized manure with a solution of water and sodium hydroxide to remove animal matter, such as dead cells and tissue. They then purified it using common bleach and mixed it in a common household blender. (In a larger-scale paper production facility, active oxygen would be used because it’s chlorine-free and environmentally friendly.) Lastly, they poured the suspension through a filter to remove any excess water. The result was a gel-like substance of pure cellulose. After spreading the substance flat onto a mold, they pressed it with a weight and left it to dry. “The beauty of this is that the animals eat low-grade biomass such as grass and hay. Out of this low-grade biomass, we’re not only growing animals but utilizing the cellulose that comes back out of the animals in an easy-to-process way,” said Alexander Bismarck, a professor of polymers at the university. Bismarck and his team presented their research March 21 at a meeting of the American Chemical Society in New Orleans. Much of work they’ve completed so far has been done on elephant manure acquired from a local zoo. Because elephants have just one stomach, as opposed to the four stomachs in a cow, the cellulose in their poop is less digested. “Every manure is different, that’s a funny thing about it,” said team member Kathrin Weiland, a graduate student at the university. Bismarck points out that although the accumulation of elephant poop is not a major problem in Europe or the United States, there is plenty of it in Africa. The researchers have been working with the Council for Scientific and Industrial Research in South Africa to not only develop high-performance products such as industrial filters and fillers to reinforce polymer composites, but also on making paper from elephant poop to ultimately raise funds and awareness for elephant conservation. But the scientists are also applying what they’ve learned from elephant manure to cows. Weiland along with graduate student Nurul Ain Kamal and postdoctoral fellow, Andreas Mautner, are running tests to understand what chemical composition works best for cow and horse manure, so they can extract the most cellulose from each. The ability to turn manure into a marketable product could offer livestock farmers another source of revenue from the abundant heaps of waste they must deal with on a regular basis. As the researchers refine their papermaking process, they’re also working to develop a two-step system that captures methane from manure in a bioreactor and then converts what remains into paper. Eventually giant mounds of dung could turn into profits not problems.